Running a commercial website requires a perfect balance between well-crafted content and successful marketing. So, if you’re about to launch such website, you need to get familiar with some tricks of the trade regarding content marketing. It’s crucial to choose the right marketing tools that will generate higher traffic. Although some options are more effective than others, there are some middle-of-the-road options for promoting website content. We’ll introduce those mainstream tactics that should improve the visibility of your website and engage your customers. When putting together pieces of your website content, always think about the practical aspect of your effort. To be more precise – ask yourself if your customers will have any use of those content bits (and bytes). Your content has to provide solutions that will help your customers or regular readers overcome some difficulties in their business or private life. Because of that, it would be perfect if you could share as many personal experiences as possible. For instance, if you’ve paved your backyard, shoot a few videos and take some photos of your work. After that, write an article where you’ll explain the whole action and voila! You’ll generate original content that will engage your visitors to read it, plus it will encourage them to give it a try themselves. In a nutshell, the more authors on your website write from their personal experience, the more convincing your content will be. As a result, it will be shared more frequently and marketed in a natural way. Storytelling is one of the buzzwords of the 2010s, especially in the world of online content. One of the reasons this skill has resurrected is the fact that nowadays everybody writes. You must think “what do you mean by ‘everybody?’”. Just think about the number of people who use Facebook or Twitter – It’s without any doubt billions of people. Using social networks includes writing posts, comments, reviews etc. Hence, all these people who write public posts are amateur writers. Therefore, Internet users like sharing their own short stories with their online friends. What’s more, they like reading other people’s stories, as well. This is where storytelling comes on stage. Even if you’re not a fabulous storyteller, you can improve your skills and create top-notch storytelling content. On the one hand, you can simply use events from your own life, as suggested in the first paragraph. On the other, you can borrow from other people’s experiences to create engaging written and photo stories. Of course, don’t forget to cite your sources and references, so as to avoid being accused of plagiarism. Finally, you can read guides and attend courses to master the art of storytelling. As you create and publish stories that will grasp readers’ attention, your website and its content will become more popular. If you’ve visited any of the freelancing platforms recently, you’ll see that people seek for many voice talents. The thing is that website owners have realized that making podcasts is a great way to stand out from the crowd. Their visitors and customers simply download those podcasts and listen to them on their gadgets as they go. 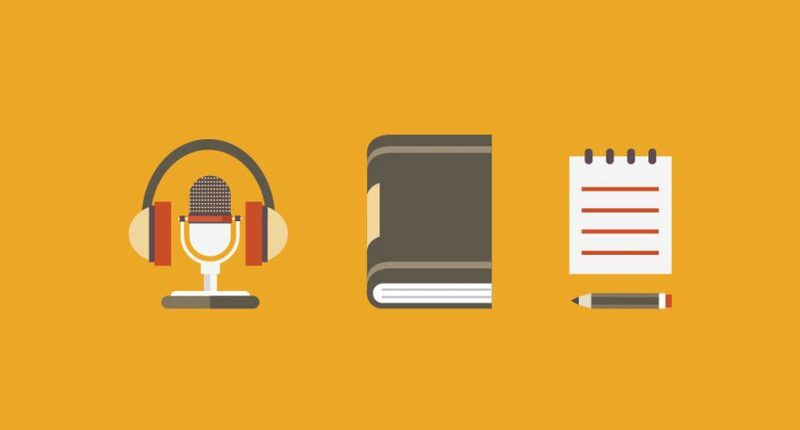 This is why you should consider giving away genuine podcasts as a form of your content marketing. The benefits of this strategy are multifold. First of all, your content will be available both in written and audio form. Moreover, the users who download your podcasts will recommend it to their friends. Finally, if more people click on the podcast button, your website will generate a higher number of clicks and visits. However, you first need to invest in podcast equipment, to ensure that your podcasts are recorded in a professional way. Otherwise, they won’t properly serve the content marketing purpose. You can hardly gain higher website visibility these days without an engaging campaign in social media. However, it doesn’t mean only publishing your posts from time to time. Social networks have become modus vivendi for a large number of people. With this in mind, it’s obvious that you have to run a permanent content-marketing (sic!) campaign across different networks. At this point, you should learn more about publishing and post your articles on several social media simultaneously. Apart from that, you should use the “fun” social channels, such as Facebook and Instagram to promote your business, as well. For instance, you can use the Share your day feature in Messenger to popularize your business with your fellow entrepreneurs or customers. On the other hand, Instagram stories and videos can be used for business promotion, as well. As you keep increasing your presence and participation in social media, you’ll manage to improve your own content marketing. Moreover, if the content itself is unique and practical, your followers will do a lot of the sharing and marketing job for you. Another buzzword of the 2010s, user experience – also known as UX – represents an important part of impactful content marketing. To cut a long story short, your website visitors shouldn’t experience any “glitches” while using your website. This refers both to its content and its technical aspects. If things go smoothly on your website, it’s highly likely they’ll stay longer on it and recognize the value of the content. Basically, you should avoid posting large images, long videos and too many plugins on your website. Apart from that, your web hosting providers need to do their part of work pertaining to server maintenance. Moreover, it’s important to ensure a perfect payment experience on your website if you sell anything that way. For instance, being compliant with the credit card payment rules and customers’ data encryption rules is vital for every commercial website. All these features will give your visitors and customers a pleasant stay on your website, engaging them to share it online and improve its marketing. Fabulous content that is poorly marketed won’t be of great use. A great marketing campaign without a convincing content will be a failure, as well. You need to know one major thing regarding the nature of the Internet – only the content that makes a difference will yield success. So, the content on your website has to offer practical solutions to its visitors. Also, it should tell a practical story that will attract its visitors. If you follow our tips for clever content marketing, you’ll run a successful and frequently visited website.